Imagine that you are walking outside and the sun begins to set. Darkness begins to take over as night falls. During the day, we feel fine and relatively safe. This changes when it becomes dark as we feel like there could be things lurking beyond the darkness, beyond what we can see. It is a common fear that has been with us for as long as we have existed. It is one of the reasons why many species roost together, including humans. The unknown that lies in the darkness is easier to deal with when there are more of us. The fear of darkness and what could lurk inside is something that is deeply ingrained in our DNA. It is not the only fear that we have within us. There are many plants and animals that have evolved to use those fears and apprehensions against the things that threaten them. There are plants that have evolved to mimic dangerous plants in the hopes that any predator would avoid them. Similarly, there are animals that have evolved to mimic dangerous and toxic animals so to avoid being preyed upon. Recently, scientists have uncovered two new fears that are embedded in our DNA, which are our fear of spiders and snakes. About 1-5% of the population suffers from clinical fears of snakes and spiders and about a third of the population, including adults and children, have a dislike for them. Today, snakes and spiders pose almost no threat to us and yet these fears still continue as they are among the highest mentioned phobias suffered by humans. We learn to fear things from the world we grow up in, but for some fears learning plays part of the role. Most of us are not exposed to snakes and spiders beyond the media and should not really have any fear or prejudice against yet it nonetheless appears. To understand this trait of our fear to spiders and snakes Stefanie Hoehl, from the Max Planck Institute for Human Cognitive and Brain Sciences in Leipzig, Germany, and her team worked with infants and found some interesting results. The infants used in the study were 6 months old and the study was broken into two parts. In the first part, the researchers showed the infants pictures of spiders and flowers, a neutral stimulus. In the second part, they showed the infants pictures of snakes and fishes, another neutral stimulus. To measure differences between the focus and the neutral pictures, they looked at pupillary changes. The researchers found that there was more pupillary dilation when the infants viewed images of the spiders versus when they saw pictures of the flowers. For the snakes and fishes, the researchers found that there were minimal differences and the pupillary dilation was almost the same for both subjects. However, the pupillary dilation measurements from the snakes and fishes were similar to the measurements from the spiders and more than the flowers. To ensure that there were no carry-over effects from seeing snakes and then seeing fishes, which might produce the similar dilation measurements, the researchers conducted another study. In this study, they compared two groups of dilation data. The first group viewed only snakes and the second group viewed only fishes. They found that there was higher pupillary dilation in the group that viewed snakes versus the group that only saw fishes. The results aligned with the hypothesis the researchers proposed, which was that there would be more pupillary dilation for ancient threats compared to neutral objects. 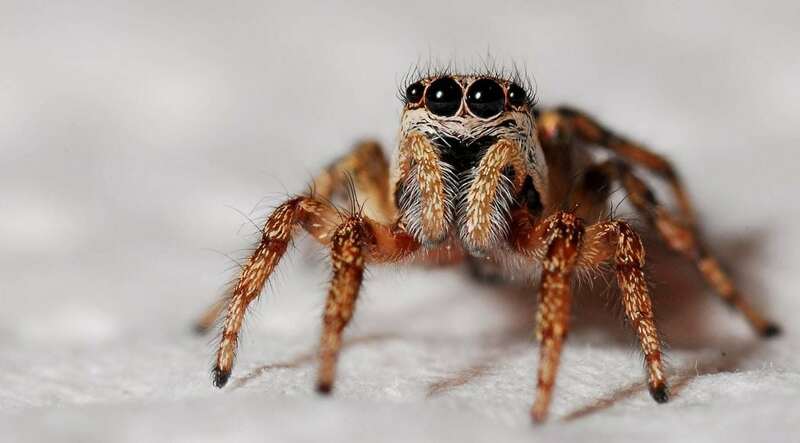 Pupillary dilation represents arousal and a focused attention, so this physiological response could be a contributing factor to the development of fear towards spiders or snakes in adults and infants. Understanding the mechanisms of how we understand and develop fears that stem from our evolutionary past is important because they persist today and many of them remain unclear to us. Other researchers have looked at other types of scary things that infants and adults might have adverse reactions to. They included subjects like lions, bears, rhinos, and other things that we might develop fear towards. Those studies found that there was no association between physiological response, and the images of these creatures, meaning that infants did not find them any scarier than a flower. The Hoehl and her team believe that spiders and snakes hold innate biological responses, like pupillary dilation, in infants because they have been around us for 40 million to 60 million years. There more venomous ancestors were present with our ancestors and overtime, we developed an evolutionary dislike for them that stayed with us all those millions of years. Things like lions and bears are too new and have not yet embedded themselves in our DNA. There are many modern things that children should be afraid of that they have to learn because it is not yet part of their innate fears. Some modern things are clowns, knives, or electrical sockets. Perhaps over time and as we continue to evolve some of these things might become part of our DNA and infants will eventually respond to them as they to spiders and snakes. The researchers also note that using pupillary dilation in infants is a new technique and more research is needed to truly turn it into an important tool for fear research and other research that require physiological responses. This does not discount the results of this research, but it does require us to understand that, as with anything in science, it can change as we gain a better understanding of the tools and techniques that we use to understand the world.